Here is a 2400+ sq. ft. Mesa home, with VIEWS, for just $1,299,000! This 3 bedroom and 2 bathroom home is ready for someone to make it their own! The bones are excellent with open beam ceilings throughout, a large deck off the family room, and a bonus room perfect for home office or guest bedroom. Sliders open out from the master bedroom, family room, kitchen, and bonus room. Enjoy panoramic views of the Santa Ynez mountain range and downtown Santa Barbara. The spacious two-car garage has excellent storage space and laundry hookups. The low maintenance landscaping features artificial grass, terracing, and multiple patio areas. Located in the very desirable Washington School District. Just seconds from the Mesa Shopping Center, Lazy Acres, Shoreline Park, and Leadbetter Beach. 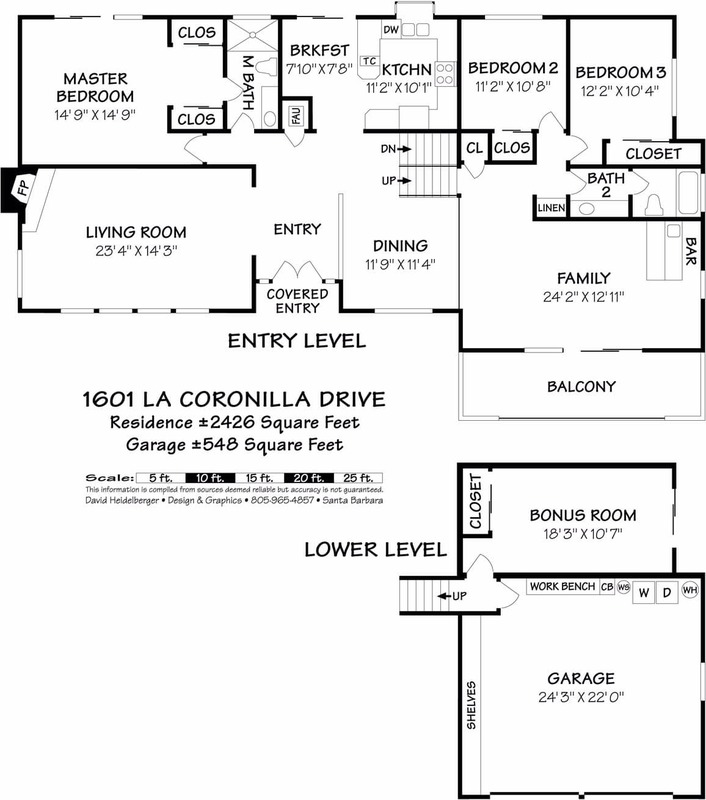 1601 La Coronilla, Santa Barbara, CA from Mike Richardson, Realtors on Vimeo. The Mesa from Mike Richardson, Realtors on Vimeo. Listing Agent: "The Richardson Team"